The management of pre-operative patients is a core function of junior doctors. Although specific management is provided in this article, your own hospital may differ slightly, and it is advised that you also refer to any local guidelines. It almost goes without saying that most patients are anxious about their upcoming surgery. Recognition of this fact and a kind word will make a big difference to a wary patient. *Fasting ensures that the stomach is empty of contents. This reduces the risk of pulmonary aspiration, which can occur during the perioperative period, which can lead to both aspiration pneumonitis (inflammation caused by very acidic gastric contents, leading to desquamation) and aspiration pneumonia (due to secondary infection following pneumonitis or direct aspiration of infected material). The management of the pre-operative drug regime falls into three categories; prescriptions to stop, prescriptions to alter, and prescriptions to start. In certain patients, bowel preparation and blood productions may also need to be considered. These commonly stopped medications can be remembered as ‘CHOW’. Oral contraceptive pill (OCP) or Hormone Replacement Therapy (HRT) – stopped 4 weeks before surgery due to DVT risk. Advise the patient to use alternative means of contraception during this time period. A patient undergoing surgery will elicit a stress response in proportion to the extent of trauma and metabolic insult. A key part of the stress response is activation of the HPA axis, resulting in an increase in the release of endogenous corticosteroids. Patients on steroid therapy (more than physiological replacement) for over two weeks may experience HPA axis suppression. Patients with confirmed (or suspected) HPA axis suppression (through Short Synacthen testing) are therefore at risk of acute adrenal insufficiency peri-operatively due to their attenuated ability to mount a sufficient endogenous steroid response. In such patients, peri-operative stress-dose corticosteroid therapy is warranted. No definitive guidelines exist regarding the exact amounts of steroid that should be given, however the decisions around specific dosing is often dependent on the type of surgery being performed and patient pre-operative steroid prescription. Patients undergoing major GI surgery for cancer (including oesophageal, gastric, pancreatic, liver and colonic resections) and lower limb joint replacement should be discharged with TEDs and 28 days of prophylactic dose low molecular weight heparin (in the absence of contraindications). TED stockings – all patients (with the important exception of vascular surgery patients) will receive below knee TED stocking. These need to be prescribed but check for contraindications (especially in the elderly). Contraindications include severe peripheral vascular disease, peripheral neuropathy, recent skin graft, severe eczema. The perioperative care of patients with diabetes mellitus (DM) is becoming increasingly common. The exact pre-operative management varies between patients, but the following can be used as a basis. On the night before surgery, reduce their subcutaneous basal insulin dose by 1/3rd. Omit their morning insulin and commence an IV variable rate insulin infusion pump (commonly termed ‘sliding scale’), which is a syringe driver that usually contains 49.5mL of normal saline with 50 units of Actrapid. Whilst the patient is nil by mouth, you will also need to prescribe an infusion of 5% dextrose, which is usually given at a rate of 125mL/hr. Ask the nurse to check the capillary glucose (‘BM’) every 2 hours and to alter the infusion rate accordingly. Continue until the patient is able to eat and drink. Once they are doing so, you must overlap their IV variable rate insulin infusion stopping and their normal SC insulin regimens starting. To do this, give their SC rapid acting insulin ~20 minutes before a meal and stop their IV infusion ~30-60 minutes after they’ve eaten. Management is dependent on they way that their Type II DM is controlled. If diet controlled, no action is required peri-operatively. If, however, the patient is controlled by oral hypoglycaemics, metformin should be stopped on the morning of surgery, whilst all others should be stopped ~24 hours before the operation. These patients will then be put on IV variable rate insulin infusion along with 5% dextrose as described above and managed peri-operatively the same as a Type I diabetic. Patients having colorectal surgery may need bowel preparation (laxatives or enemas) to clear their colon pre-operatively. Bowel preparation is used less frequently, as the fluid shifts can be harmful to patients who are elderly or have cardiac or renal disease. Additionally it has been shown that use of bowel preparations can prolong patient recovery and length of stay. 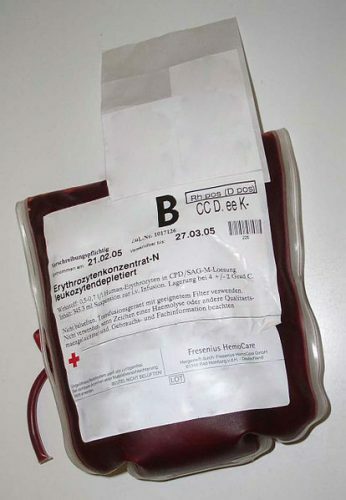 Figure 1 – Blood products are required to correct heavy blood loss and must be x-matched before use. It is essential to ensure all patients undergoing major GI, HPB, vascular, gynaecological or orthopaedic surgery have a group and save requested. Others will need blood cross-matching in advance. Read more about prescribing blood products here. Consider where the patient may need a HDU or ITU bed to be booked. Any concern, it is best to discuss this with your senior. There are a range of pre-operative investigations that can be requested. The nature of the exact investigations required depends on a number of factors, including co-morbidities, age, and the seriousness of the procedure. Read more about pre-operative investigations here. Ensure that the patient is fully informed and understands the plan for their care and discharge. Most major surgical patients will require an appointment in the follow-up clinic, so ensure that this done at a time which your consultant wishes. Patients undergoing day-case surgery will receive telephone follow-up from a nurse specialist only or may not require follow-up. Regarding NBM status, which of the following are recommended (for most operations)? Which medication should be stopped earliest before surgery? Which of the following is the least important pre-operative consideration? Which of the following is not a contraindication to LMWH? Which of the following procedures requires a phosphate enema the morning of the operation?